As the winter chill becomes a distant memory, and we transition into spring’s vibrant colors and sunny warmth, it’s time for a seasonal shift in our diets as well. Instead of hearty bone broths and root vegetables, spring calls for light, crisp and refreshing flavors that keep us cool as the weather heats up. So, for a fruity treat that satisfies your sweet tooth, quenches your thirst and fuels your body with nutrients, try these healthy popsicle bites. Featuring the bold tanginess and antioxidant benefits of Nutri Maqui Superfruit Juice, this recipe is a perfect afternoon snack for the kids or crowd-pleasing dessert at your next backyard cookout! Note: This recipe yields 8 servings, so adjust the ingredients accordingly to feed large groups. Hull the strawberries and slice into bite-size chunks. 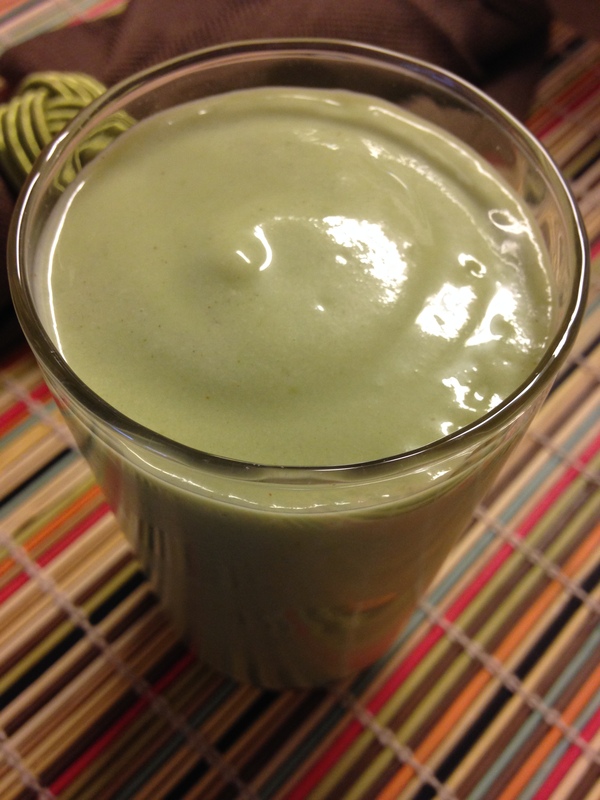 Place all the ingredients in a blender and puree into liquefied. Line a mini muffin pan with plastic wrap or parchment paper. Spoon the mixture into eight of the muffin pan slots. Place the muffin pan in the freezer for about 30 minutes. Remove from the freezer and insert toothpicks in the center of each popsicle mold. Return to the freezer for another 30 minutes or until the popsicles have set completely. Lift up the plastic wrap in order to cleanly detach the popsicles from the muffin pan. Drizzle more honey on top for extra sweetness if desired. This recipe was originally featured on the Nutri Lifescience website. Reblogged with permission. #LoveBulu ‘Cause Bulu Loves You Back! 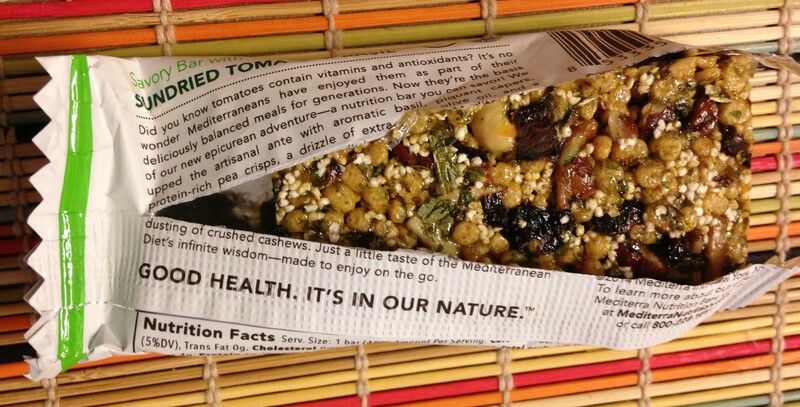 Confession: health and wellness goodies are my weakness. Yeah, alright…I recognize the irony. In the broader scope of every possible obsession a person might succumb to, I could do much worse! But, while my body appreciates the benefits of a wholesome diet, sometimes my wallet wishes I wasn’t so selective. There’s no denying that health often comes with dollar signs attached, resulting in everyone’s favorite “Cost vs. Quality” debate. Why can’t they just get along? Why can’t we nourish ourselves properly without breaking our budgets? Well…turns out, we can! 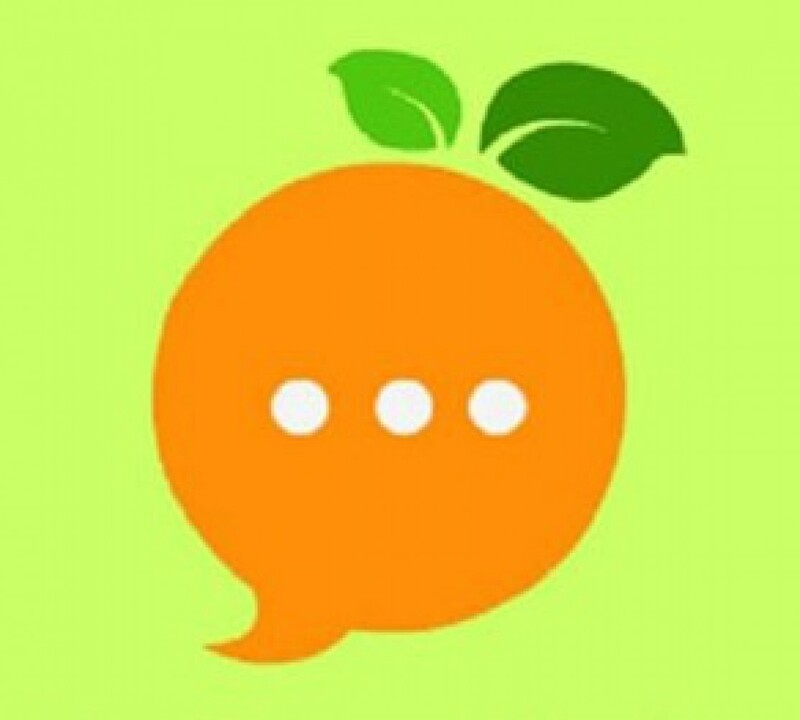 Say “hello” to Bulu Box — where nutritious eating meets bargain hunting. 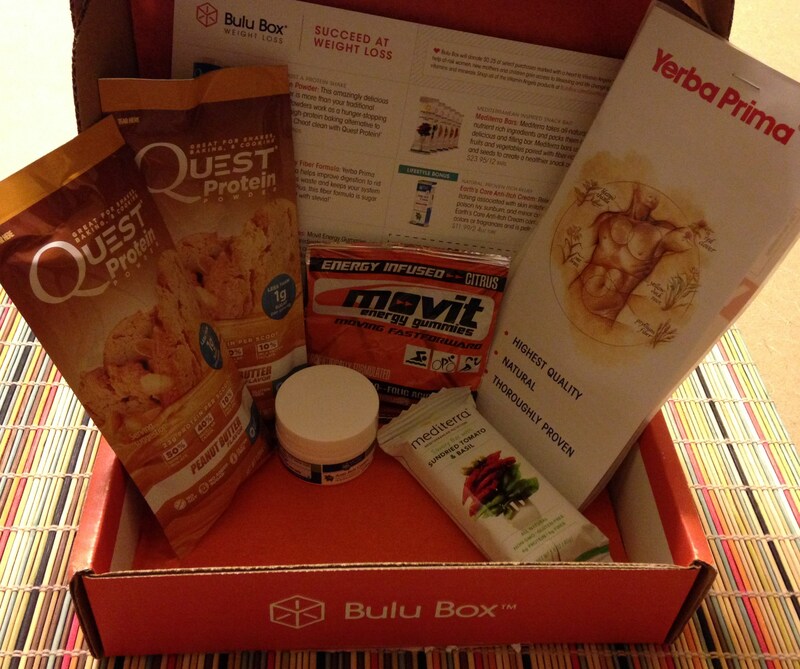 Each month, Bulu Box subscribers receive 4-5 snack, vitamin and supplement samples from top-rated wellness brands. 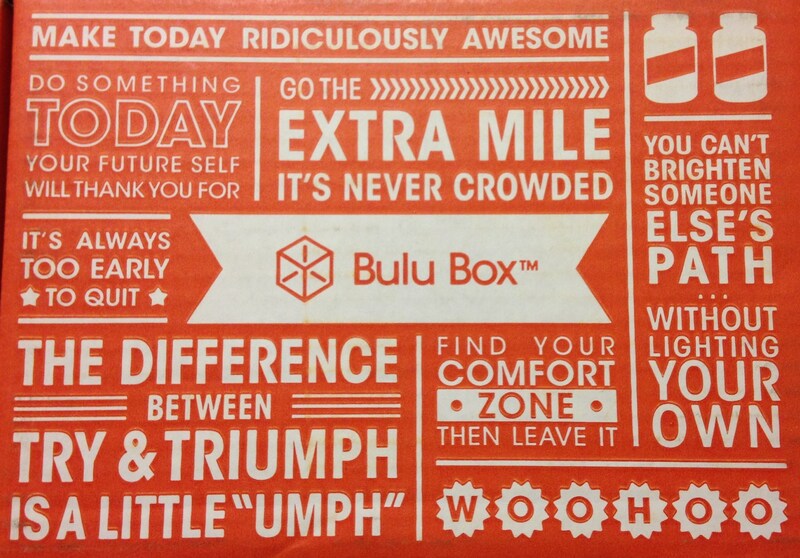 A little orange box of happiness…Who can resist those motivational mantras?! This customized package is conveniently shipped straight to your doorstep, and Bulu Box offers several subscription plans for every price range. Choose from Month-to-Month ($10 per box), 3 Months ($30 fee), 6 Months ($60 fee) and 12 Months ($110 fee). Free shipping comes standard, and Rewards Points make saving money even easier. Protein powder, energy bars, performance supplements…OH MY!!! 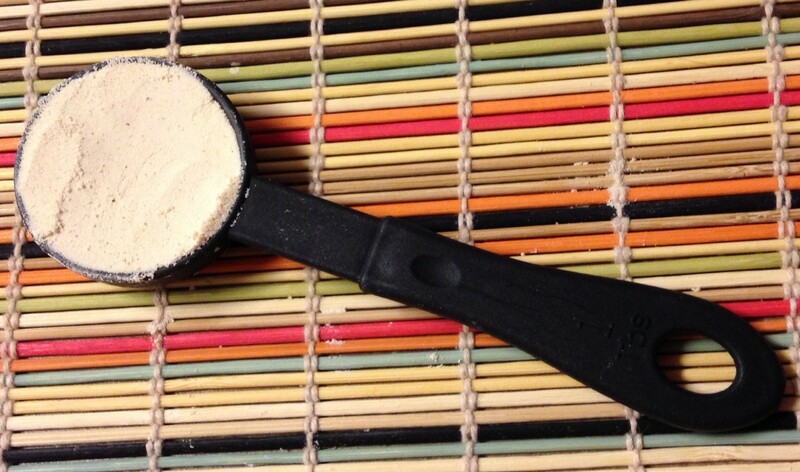 The Taste Test: I’ve never uttered a negative word about peanut butter flavored anything, and this protein powder is no exception. The Verdict: When blended into liquid form, Quest adds a creamy quality that smoothie fans will love. Moreover, the protein content is ideal for both pre-workout energy and recovery fuel. The Taste Test: With a crisp, crunchy texture and just the right amount of saltiness, this rich and tangy snack condenses an entire Margherita pizza into one bite-sized bar. The Verdict: The tomato and basil combo takes “satisfying pick-me-up” to another level. Mediterranean Diet devotees will appreciate this savory grain and veggie pairing, packaged for on-the-go ease. The Taste Test: Although I have trouble stomaching gummies, these little guys defied my initial skepticism. The citrus aftertaste is sweet but not cloying, and the consistency is chewy but not gelatinous. 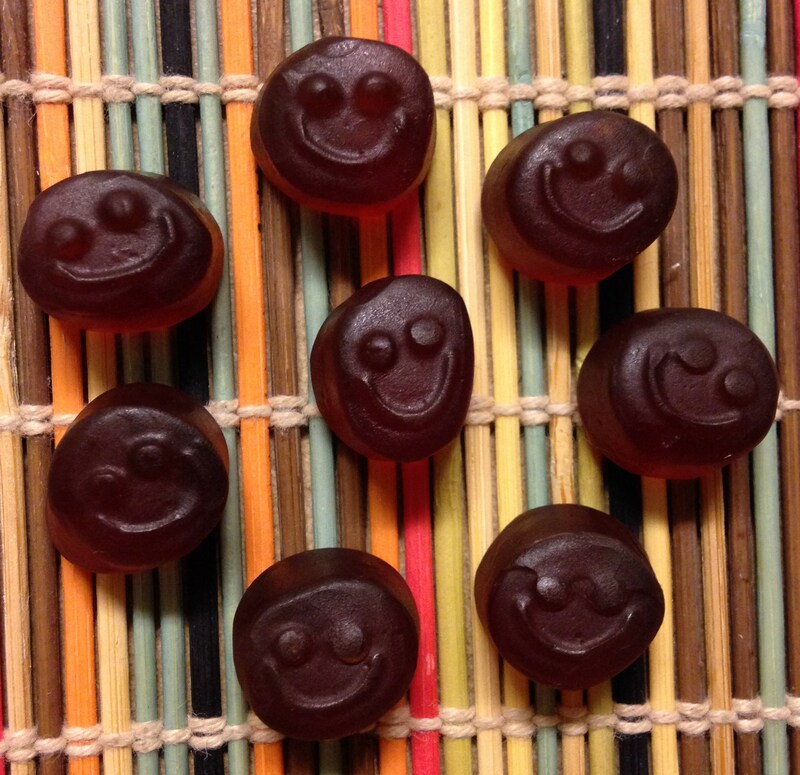 The Verdict: These smiling gummies are hard to resist, and their compact size makes smart snacking effortless. 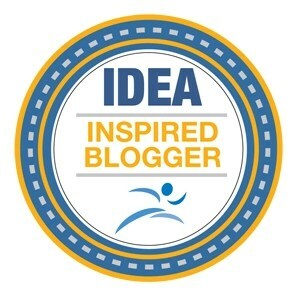 Plus, Movit’s natural energy supports a variety of athletic activities. The Taste Test: Mix this apple spice infused formula with water, and you’re basically drinking cider. Fall in a glass. Enough said. The Verdict: Yerba Prima offers digestive regularity without skimping on flavor. The purifying herb complex will gently detox your system for fast-acting gastrointestinal relief — a win-win in my book. So, there you go, folks. That’s why I #LoveBulu. Wanna feel the love as well? Order your own box and use the promo code SWEATPINK at check-out to score 50% off a 3-month subscription! Special thanks to Fit Approach and Bulu Box for giving me the opportunity to sample these products. Spring Has Sprung. Here’s a Smoothie to Celebrate. With the weather FINALLY warming up and this life-giving season in full, glorious swing, let’s do a smoothie recipe! Wanna cool off from a day spent soaking up the sun, while treating your body to essential nourishment at the same time? Sure ya do! So, whether you need to refuel after a workout, snack smart between meals, or stay energized and refreshed in the great outdoors, I’ve got a SUPER SMOOTHIE that will satisfy on all cylinders. This blendiful thirst-quencher is also a nutritional powerhouse — featuring protein packed edamame, Omega-3 enriched avocado, antioxidant fortified papaya, and vitamin loaded spinach. But, if those health benefits don’t quite tickle your taste buds, maybe the lusciously creamy texture will. Trust me, getting more greens in your diet has never been so indulgent! *If you’re looking for a natural protein powder but can’t afford Shakeology, I’d highly recommend checking out Fuel-6 from DailyBurn. 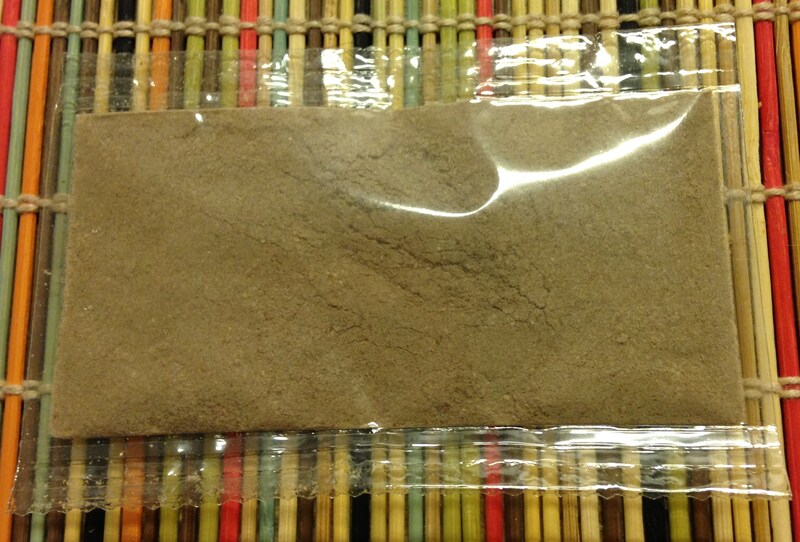 This supplement is an excellent source of plant-based protein; plus it’s vegan, gluten-free, soy-free and dairy-free. Can’t beat those stats, right? 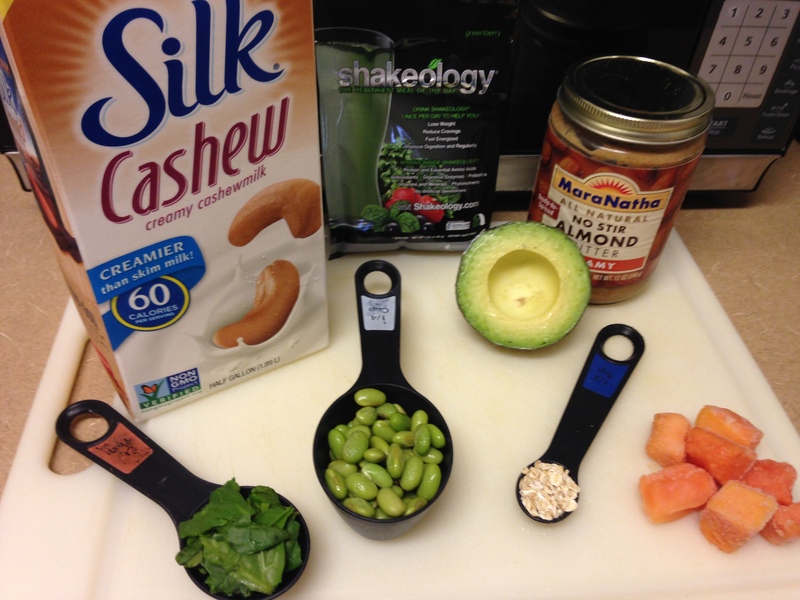 Combine these ingredients together in a blender and puree until smooth. Springtime just got sweeter. Bottoms up, my fellow smoothie enthusiasts! P.S. Sharing is caring, so spread the love by re-posting this recipe on social media — or even feature your own blended concoction — with the hashtag #ShowUsYourSmoothie.